Milestones is an apt title for this collection, for the eighty-four poems within show a poet passing from mere talent into mastery of her craft. Composed between January and December of 1916, these poems find the twenty-four year-old Tsvetaeva thirsting for the fullness of life while at the same time contemplating the inevitability of death--a theme she was to revisit many times in her career. Tsvetaeva's work of the time also reflects her knowledge of (and pride in) her native culture, especially the centrality of Moscow as the ultimate destination of all Russians. Throughout the verse she opens up to the sensual wonders of nature--sky, forest, wind, and not least her beloved daughter Alya, who would come to figure greatly in the work and legacy of her mother. 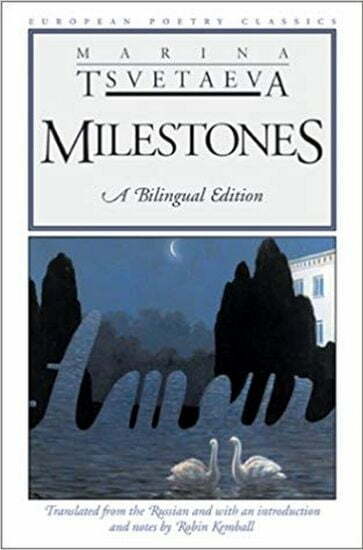 Milestones lays out a sensual feast of moods, themes, styles, and rhythms--all the ingredients that would in time reveal Tsvetaeva as one of the most daring and original poets of her time.